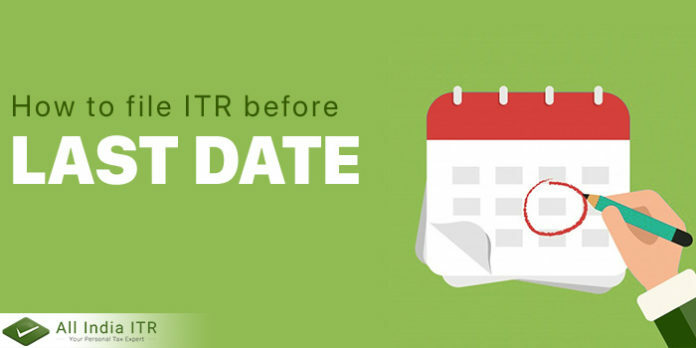 It is important to File Income Tax Return and the last date to file ITR is 31st July 2018, but you must make sure that you don’t make any mistake while filing Income Tax Return. There are times when people make some avoidable mistakes and that’s the reason why we will tell a couple of things to you which you must keep in your mind for filing Income tax return before the last date. There are various Income Tax Return Forms like ITR-1 Form, ITR-2, ITR-3, ITR-4, . A taxpayer is supposed to file Inocme Tax Return Form depending on their source of income. When you file your Income Tax Return you must know which ITR Form is applicable for you and according you should file the Income Tax Form. Taxpayers must be aware of the different Income Tax slabs aware of the different Income Tax slabs and should keep their PAN (permanent account number), Form 16, bank accounts and salary slips handy before filing returns. While filing your Income Tax Return you must remember all the investments that you have made in the relevant financial year and the deductions that you can claim under section 80 of the Income Tax Act against these investments. There are certain exemption that a taxpayer can claim and they are House Rent Allowance or HRA, Conveyance Allowance or CA, Leave Travel Allowance or LTA etc. While calculating your tax liability you must consider all the above-mentioned deduction and exemption. You can reduce you tax liability by investing in equity-linked savings scheme (ELSS), National Pension System (NPS) and Tax Saving Fixed Deposits (FDs). Other than individuals the taxpayers like Hindu Undivided Family or HUFs, an association of person (AOP) and a body of individual (BOI) are required to file their Income Tax Return for the Financial Year 2017-18 by 31st July 2018.